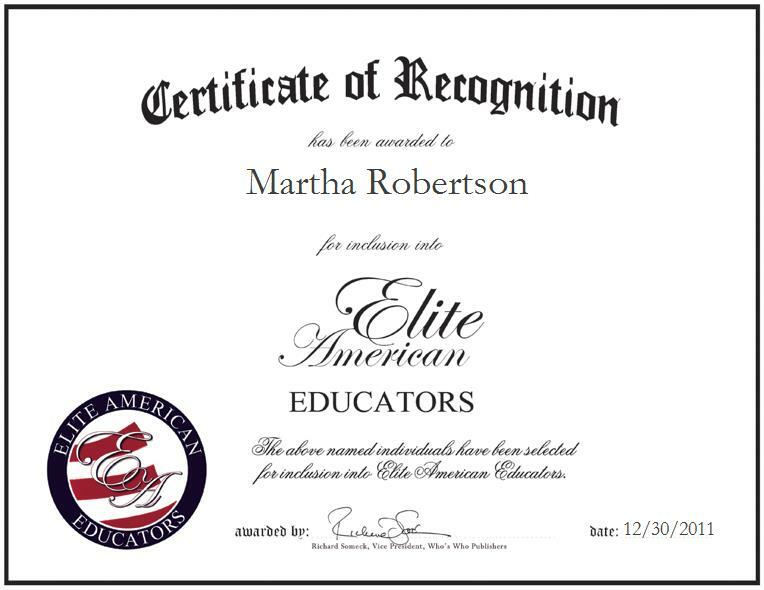 Martha Robertson is a Trainer for Educators at the Pearson School, a learning center that offers professional development courses for educators. With a refined expertise in high school mathematics assessment and 15 years of professional experience, Ms. Robertson supports mathematics leadership initiatives in concerted efforts with the state and local district. She also pinpoints the highlights of her career as being able to work on the state and district classroom assessments, preparing students for life experiences and curriculum changes. After spending a portion of her career working with troubled youth, Ms. Robertson felt that she could serve as a more positive and fulfilling influence in the lives of young people by working as an educator. She remains abreast of trends and developments as a member of the National Council of Supervisors of Mathematics and the National Council for Teachers of Mathematics.